Whenever I hear the sarcastic term “first world problems” I cringe inside. The Western world is steeped in pain. All kinds of pain – physical, emotional, mental and spiritual. While some things like bacterial infections and vitamin deficiencies were muzzled back in the 20th century, this world has never seen so much chronic pain, chronic immune issues and chronic mystery illness. Big Pharma – the “legal” drug lords that they are – claim the entire Western world as their territory. This cartel has got the “good stuff” – the stuff that quiets the desperate pain – possibly forever. Their carefully executed algorithms have determined that even if they kill off their customers, they make billions. We don’t have an “opioid epidemic” – as though it’s the fault of patients – no! we have an “addiction and death by pill” epidemic. How these deaths are not considered “assisted but unwillful suicide,” I’ll never know…It’s not just these deaths, but the heroin overdoses that happen when people get turned away from the medical system. How it’s legal to hook someone and remove their free will, I’ll never know either. So of course it shouldn’t surprise anyone that people want – and deserve – harmless alternatives – whether it’s marijuana, kratom, or some other type of herb. Have You heard of Wild Lettuce as a Healthy Pain Alternative? 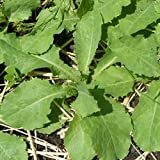 I’m surprised I haven’t come across wild lettuce as an alternative to toxic pain, migraine and anxiety pills, but a recent report by Ask a Prepper tipped me off to it and now I want to tell everyone! Out of everyone I know, pain is their biggest complaint! While people tell us that we shouldn’t focus on pain, but what’s causing the pain – everyone with serious pain knows that you can’t move forward or think straight until you can get some relief. Lactuca Virosa – aka “opium lettuce” or bitter lettuce – must be one of the modern world’s best kept secrets. And it’s probably getting mowed down in your backyard! Look for it in North America and England. Hopefully the pictures will help but apparently it’s tall, leafy and can have small, yellow buds. It contains a milky, white substance with the opium-like qualities – however, it’s important to know that the plant contains no opiates and is perfectly legal. 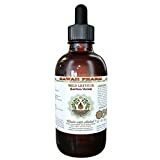 Ask a Prepper says this milky substance is called lactucarium “acts directly on the central nervous system (CNS) to lessen the feeling of pain, just like morphine.” This is extremely good news for those with Epstein-Barr Virus, Fibromyalgia, nerve injury, surgical pain and inflammation. They report that wild lettuce wasn’t a secret in the 1800s, but was also sought as an alternative to opium, which was basically a scourge on the earth at the time. Apparently, it made a comeback in the 1970s when natural health food stores began cropping up more and more. The bitterness of the herb has made teas, tinctures, resins, or even smoking/vaping a more popular way to take than historical reduction cooking methods. It makes sense that something that helps anxiety also eases insomnia. Some people report fewer migraine episodes after using wild lettuce. A lesser-known side effect to opioid drugs is their effects on the lungs – and that asthmatics can suffer more episodes during opioid withdrawal. Anecdotally, some of them try wild lettuce for easing out of withdrawal. “Wild lettuce has antitussive properties, which alleviates or suppresses a cough,” they report. Wild lettuce should be studied more for this benefit since each year, 5,000 of people die annually of asthma in the United States.